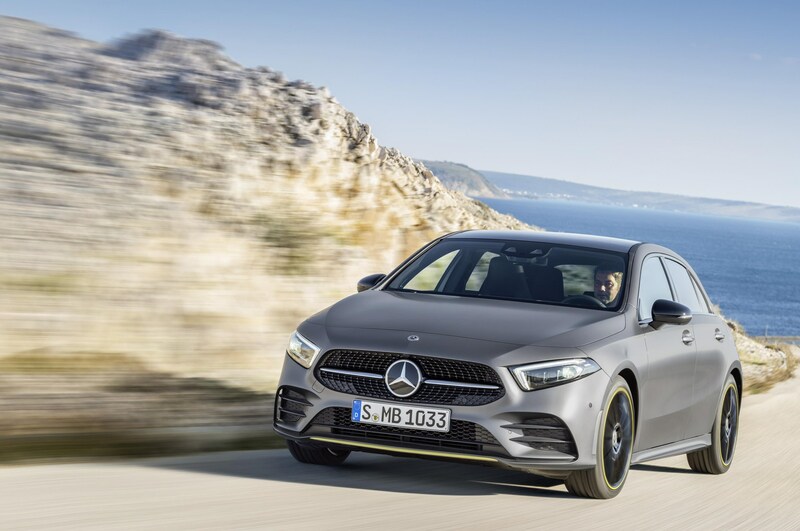 Mercedes-Benz has revealed the new A-Class will be priced from £25,800. There are three engines available at launch, with the A 180d diesel as the entry-point to the range. The petrol-powered A 200 starts from £27,500, while the more powerful A 250 is available from £30,240. 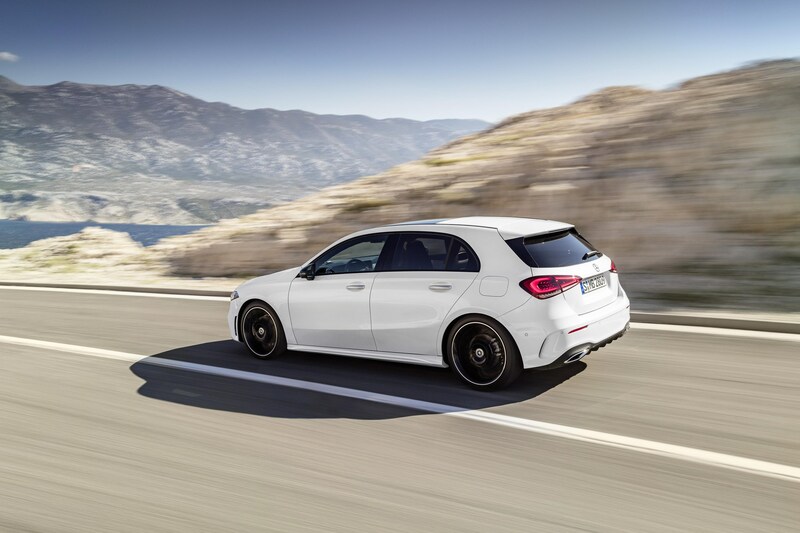 Deliveries are expected to commence in May and intitially three trims will be available: SE, Sport and AMG Line. SE models (A 180d only) feature twin seven-inch displays, including a central touchscreen and voice activation. They also get comfort suspension, 16-inch alloy wheels, DAB, Active Lane Keeping Assist, Speed Limit Assist and Keyless-Go. Sport trim line adds LED high performance headlights, 17-inch alloy wheels and automatic climate control. 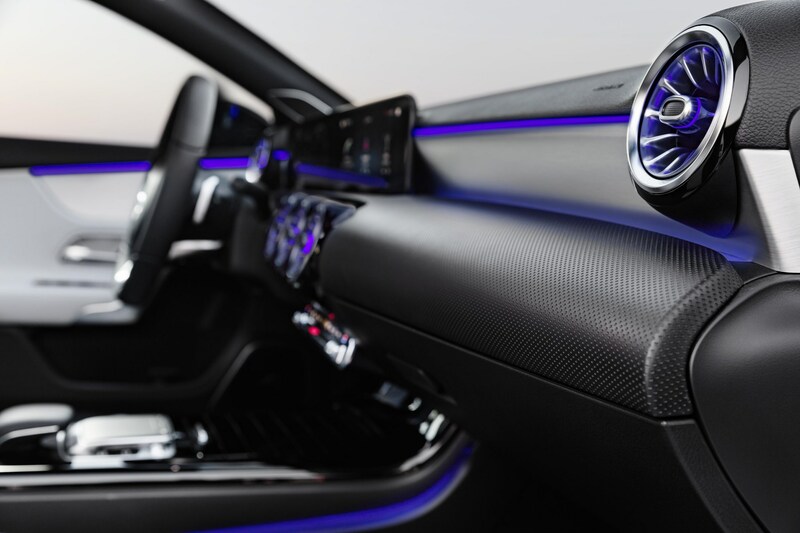 AMG Line models benefit from 18-inch AMG alloy wheels, AMG bodystyling and three-spoke sports steering wheel. 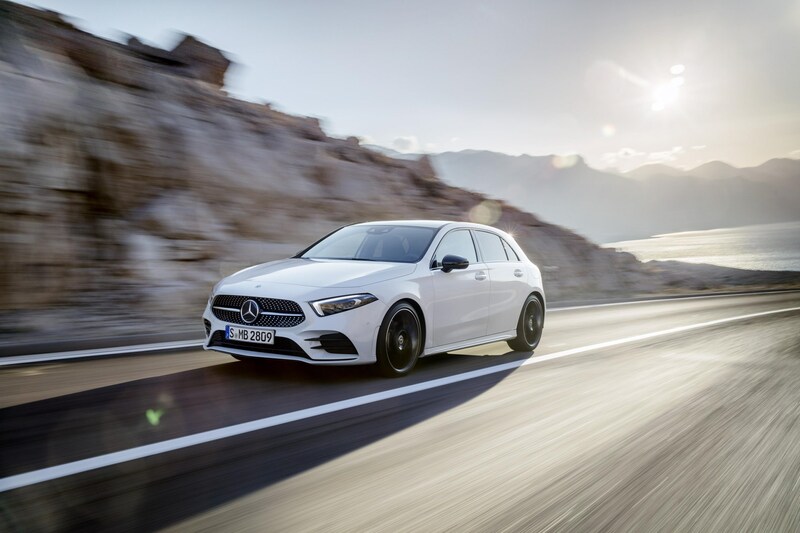 The A 180d uses a 1.5-litre diesel engine, which produces 116PS and emits from 108g/km of CO2. It delivers up to 68.9 mpg on the combined cycle, with a top speed of 125MPH. It can sprint from 0 to 62 mph in 10.5 seconds. The A 200 is powered by a 1.4-litre petrol engine with an output of 163PS. It can deliver up to 51.4mpg with CO2 emissions from 123g/km. The A 250 has a 2.0-litre petrol engine with 224PS and economy of 45.6mpg on the combined cycle. It can accelerate from 0 to 62MPH in 6.2 seconds and emits 141g/km of CO2. An Executive equipment package costs £1,395 and upgrades the standard seven-inch central touchscreen media display to a 10.25-inch item, as well as adding Active Parking Assist with Parktronic, heated front seats, and Mirror package. For £2,395, customers can specify the Premium equipment line which, in addition to the Executive line, adds a 10.25-inch cockpit display – creating a widescreen effect; 64-colour ambient lighting, illuminated door sills and an upgraded sound system. The Premium Plus equipment line (£3,595) adds memory function for the driver and front passenger seats, multibeam LED head lights with Adaptive Highbeam Assist Plus and a panoramic sunroof. 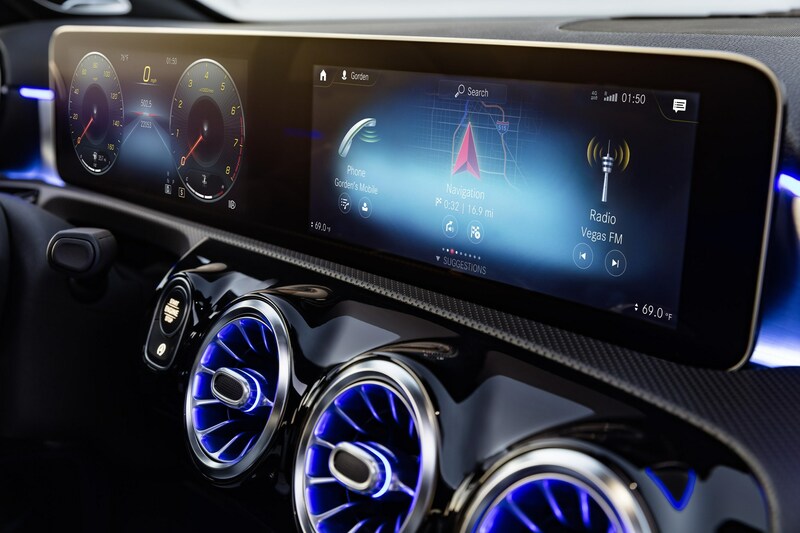 The Advanced Navigation package (£495) introduces augmented reality into the onboard satellite navigation. Using a camera located at the top of the windscreen, the infotainment screen overlays the navigation display with the actual road ahead, making for clearer, more obvious navigation. The package includes Traffic Sign Assist which automatically reads road signs, making sure the driver is always aware of the current speed limit. 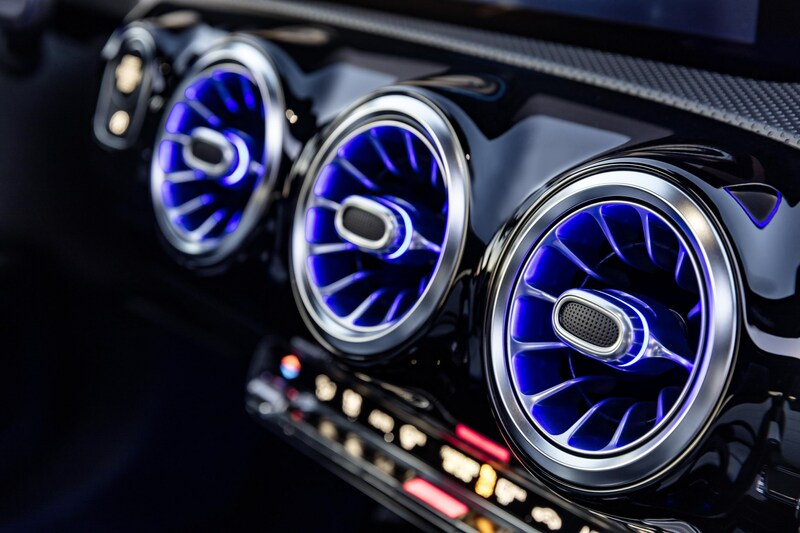 A Smartphone connect package (£495) enables the driver to unlock the vehicle using their smartphone and connect to the infotainment system using Apple Carplay or Andoriod Auto.